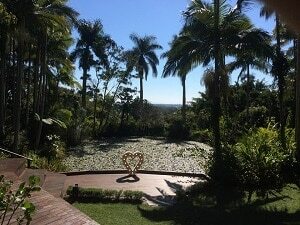 Where to get married in the Redlands Area, Brisbane? 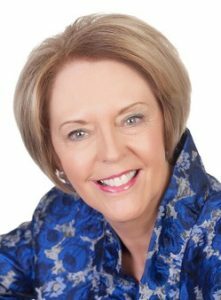 Being a marriage celebrant based in the Redlands, I can vouch for you, that any one choosing to marry in the Redlands, is spoilt for choice. There is an absolute plethora of magnificent wedding venues available, so I get to perform marriage ceremonies in a wide variety of places close to my home. Literally five minutes from my home at Alexandra Hills, is the magnificent Macarthur Park Wedding Gardens and Chapel situated in Macarthur Street, Alexandra Hills. Owners Karen and Rick live on site. They attend to the gardens, keeping them in top condition at all times. Having said that, the chapel is Karen’s pride and joy. The combination of chapel and garden which includes a lagoon, offers couples almost limitless opportunities for wedding photos. The wedding gardens and chapel at situated at 21-29 Macarthur Street, Alexandra Hills. We also offer Popup weddings at this venue, read more here. From there it is approximately a two- minute drive to the newly renovated Alexandra Hills Hotel. There are several reception rooms, the largest of which will hold over two hundred wedding guests. There are plenty of beautiful, shady trees for your outdoor wedding, of if you prefer, or, the weather dictates, there is a choice of under-cover areas. With brand, spanking new 4.5-star, motel type accommodation on site and loads of free parking, it is an ideal venue for your entire wedding celebration. You will find the Alexandra Hills Hotel at the Corner of McDonald Road and Finucane Road, Alexandra Hills. One of Cleveland’s historic buildings, The Courthouse Restaurant, plays host to marriage ceremonies and receptions alike. The wedding ceremony area is built on the bay foreshore. It is not uncommon for the guests to see a pod of dolphins playing happily in the background when the wedding ceremony is in progress. With free parking and accommodation, this is a very attractive wedding venue. Check it out at 1 Paxton Street, Cleveland. A little further on, right on Cleveland Point is the iconic Lighthouse Restaurant. With 180-degree bay views, it really is one of Cleveland’s magnificent venues. Drive to the end of Shore Street, Cleveland and it is impossible to miss it. Further back in Shore Street, Cleveland but with the same magnificent views is the historic Grand View Hotel. You can hold your marriage ceremony and wedding reception in the grounds or on the veranda of this magnificent old building. Parking is never a problem. Situated in the centre of the main street in Cleveland is the Pacific Hotel Resort. The Resort boasts a large reception room with beautiful chandeliers and can cater for up to 200 wedding guests. 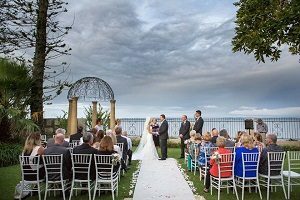 Add to this, accommodation on site and close vicinity to Raby Bay Harbourside and Park and you have all your wedding requirements covered. Recently I performed a marriage ceremony at the Redlands RSL in Cleveland. The bride and groom chose to have a traditional wedding breakfast which seems to be becoming more popular. Parking is plentiful. The address of the Redlands RSL is 8 Passage Street, Cleveland. Redland Bay Golf Club took out first place in the Australian Bridal Industry Awards for Club Reception. 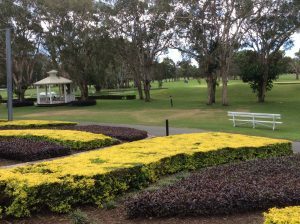 With free parking and two areas to choose from for your wedding ceremony, together with your wedding reception area overlooking the lush, green golf course, it is well worth checking out the Redland Bay Golf Course at North Street, Redland Bay. 1. Mount Cotton Retreat specialises in boutique weddings and events. With on-site private accommodation and luxury, self-contained cabins, several ceremony areas and rustic views from the reception area, Mt Cotton Retreat is well suited for small to medium sized weddings, however the covered entry area will seat up to 100 guests. The address is 355 West Mount Cotton Road, Mount Cotton. 2. Rainforest Gardens Mount Cotton has several different styles of wedding gardens. They are all designed in a peaceful setting with sweeping bay views in the distance and surrounded by lush, green rainforest gardens. No need to go anywhere else for photos as it is all here, including having your wedding photos taken with the alpacas. With wedding reception and catering on site and plenty of parking, Rainforest Gardens Mount Cotton is another wonderful addition to the Redlands wedding industry. Rainforest Gardens Mount Cotton are situated at 196 Mount View Rd, Mount Cotton. 3. Sirromet Winery at 850-938 Mount Cotton Rd, Mount Cotton, completes the trio. The picturesque setting a Sirromet Winery lends itself to three ceremony areas. You can choose to hold your marriage ceremony under cover at the edge of the serene lagoon, known as the Lagoona, at the Arbor which overlooks the vineyards or utilise the Amoroso. Inside the main building, you can choose to hold your wedding reception in the Barrel Hall, Lurleen’s Restaurant or the Tuscan Terrace. Merlot House also provides bridal accommodation. Added accommodation is now available in the form of glamping tents. Parking is plentiful. With spectacular views and picturesque vineyards on this rural property, Sirromet can provide the perfect backdrop to your wedding day celebrations. 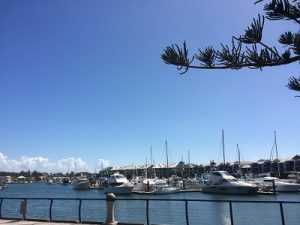 Other venues to consider are Fiction Bar at Raby Bay Harbourside, Cleveland, Redlands Sporting Club at Wellington Point and the Capalaba Sports Club at Capalaba. There are also an endless array of Council parks and gardens. Redlands really does have it all! Call Gwen to discuss your wedding in the Redlands on 0403 164 279!